The LWT Passive House section loft ladder is a comprehensive solution designed for passive buildings where a large emphasis is placed on minimizing heat loss. 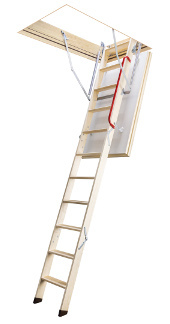 Using highly insulated LWT loft ladder and insulation kit connecting the ladder with the ceiling ensures excellent tightness and insulation without the risk of thermal bridges. 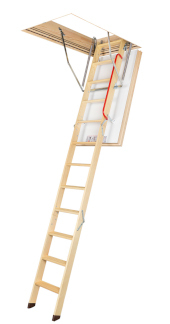 LTK Energy loft ladder highly insulated ladder intended for energy efficient buildings. hey guarantee a high level of comfort, excellent thermal insulation parameters and the highest rating of air tightness - Class 4.